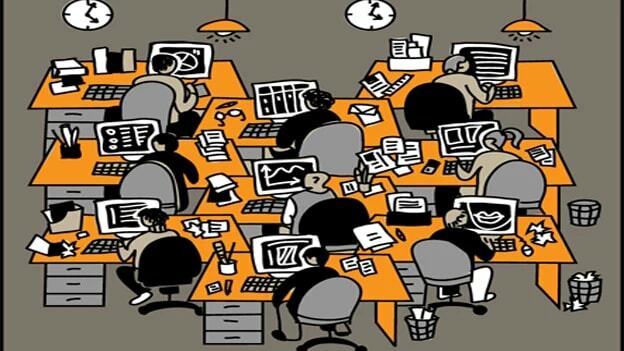 News: What keeps the tech workforce at work in India amidst public scandals? As per Indeed’s latest survey, 92 percent of the respondents would more likely to stay at their job if their company was quick to respond to a public scandal by fixing errors and communicating internally and externally. Read on to find out more highlights. The number of public allegations of misconduct, data breaches, and product failures has increased in recent times. These events make organizations more vulnerable to scandals and raise questions among employees. In such tough situations how organizations respond, react and communicate with their employees has a huge role to play. To gauge the perception of employees in the wake of public allegations of misconduct in the technology sector in India, Indeed conducted a survey across various companies. Nearly 80 percent of respondents mentioned that they are likely to leave their job if a technology-based issue such as data breach, product failure, etc. occurred at the company for which they work. While 87 percent of women, in particular, shared they would be likely to leave their job if a gender-based scandal such as sexual harassment, bias in hiring, etc. occurred at the company for which they work. They also had 82 of men in agreement to that. Besides tech and gender-based issues, 75 percent of the respondents chose biases such as the CEO or senior leaders expressing political views as one of the top reasons to quit their job. 70 percent of the respondents said that they would consider changing their jobs depending on the nature of the scandal, their loyalty to the firm and how well, or poorly, the employers handled these situations. Further, about 80 percent of respondents said they were more likely to report misbehavior in the wake of last year’s public offences, with women (85 percent) more likely to do so than men (76 percent). As most of the employees have chosen how the organization reacts as one of the crucial deciding factors, how organizations communicate with them is essential. For instance, 92 percent of respondents said that they would be more likely to stay at their job if their company was quick to respond to a public scandal by fixing errors and communicating internally and externally. In recent cases like that of Uber, Starbucks and Airtel, the companies and their leaders came out strong with their public messages and declarations. Their approach helped regain the trust of both their customers and employees and also enabled them to establish what values they stand for as a brand. Further, what majority of the Indian tech workforce demands is transparency. 95% of respondents said that if their company was transparent about the issue in question and made attempts to correct it, they would be more likely to stay at their job. No matter what industry the company belongs to, in situations like public scandals due to gender-bias or data breaches, the right approach is to take ownership of whatever has happened and communicate the story with the internal and external stakeholders. With effective and transparent communication, organizations can build the trust of their employees amidst public scandals.